Spyder rider and film production company owner Shorne Fortune, who goes by the nickname Q, is passionate about modifying off-the-shelf items in order to use them better. 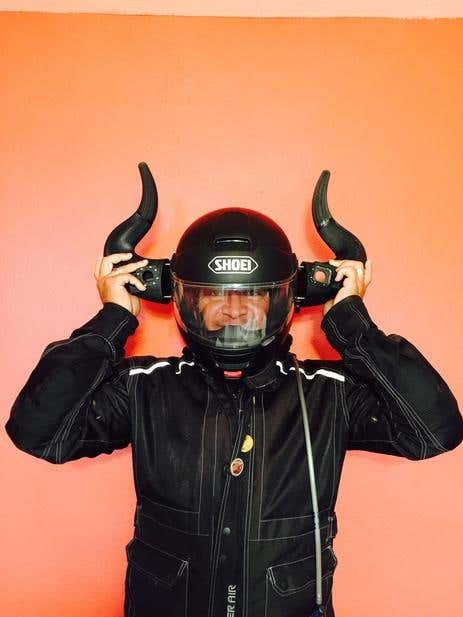 As a speed junkie and camera rig builder, one of his projects was the modification of a conventional motorcycle helmet. "It's true that there are plenty of customized helmets in the market, but not all of them meet the code and could be used as a camera rig," he explained. He had the idea of creating a custom helmet that doubled as a camera rig, which could be put on top of an existing helmet. While he was at it, he also thought of designing the rig into his spirit animal and creating not only one, but two GoPro slots. Q was excited -- it was his best modification project yet. He started on the project at once by drawing a mockup of his spirit animal, a Minotaur, inspired by his Sagittarius astrological sign. The next step was the sending of the mockup to a 3D printer. But first, Q needed a 3D artist who could render his drawing into something that was ready for printing. "I wasn't sure if I could find anyone here in California, so I did a search online. I figured there must be a service or site that could lead me to a solution. Freelancer.com showed up in the search. I checked the types of projects available and then posted my first project," Q said. 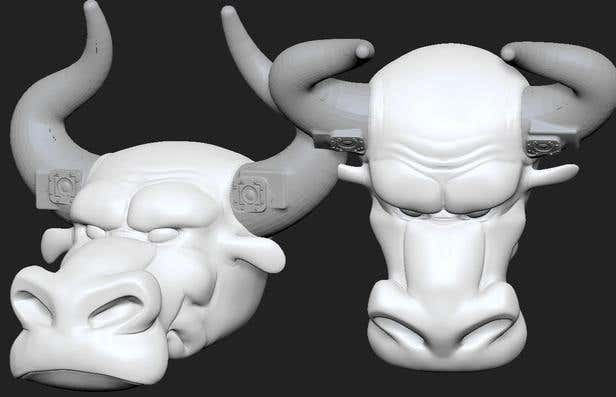 Out of the 21 bids he received, he picked the 3D Artist TJlaw90, also based in California, because Q was impressed at how he wrote up his bid proposal. "After he was chosen, and I showed him my drawing. I was blown away by his quick draft!" The freelancer also lived up to his promise that he would revise the render as many times as needed to make sure that Q is happy with the final work. Q found the mobile app useful as it allowed him to keep tabs on the status of TJ's work. Because of their constant communication, the project was completed in just a little over a week. The 3D render was then sent into printing and was assembled in Q's studio. "The spirit animal rig not only made me look cool on my Spyder, but it also greatly helped our business because we are able to compete against established Hollywood studio-level rig builders for action movie shots. The rig gives us a unique way to bid on jobs," said Q who further explained that the rig allows them to get shots from within the action while disguising it as part of the scene. Since it proved effective for the business, Q plans to create five more Spirit Animal helmets. "We're going to use social media as a platform for our fans and supporters to vote for the next spirit animals we will model. Afterwards, we will launch a Kickstarter campaign to make the 3D printing and assembly possible," he said. TJ will of course be Q's number one pick when it comes to 3D artists. Q is hoping that this beta test would help his business make a name in the film and music video industry. "This crazy idea just gave us a new revenue stream," he said. Do you have a similar project? Post it here.